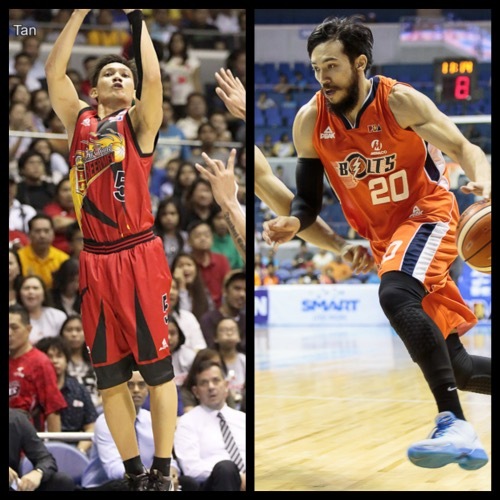 Uncategories 2015-2016 PHILIPPINE CUP PREVIEW: MERALCO BOLTS vs SAN MIGUEL BEER - ARE YOU BIG ENOUGH? 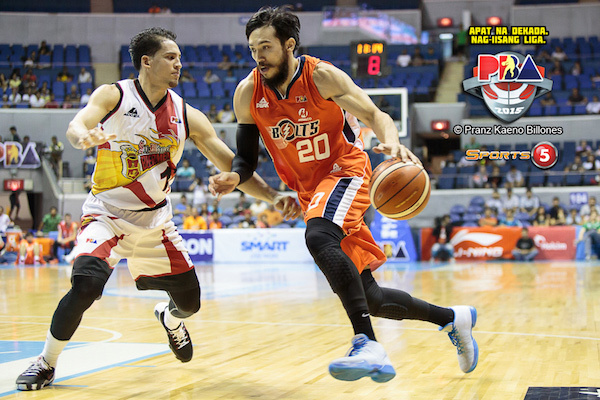 2015-2016 PHILIPPINE CUP PREVIEW: MERALCO BOLTS vs SAN MIGUEL BEER - ARE YOU BIG ENOUGH? Meralco added a few pieces in the off-season to address their biggest weakness — size. They got 6’6 Bryan Faundo and 6’7 Kelly Nabong in the off-season while also luring back former Rookie of the Year 6’7 Rabeh Al-Hussaini to add much needed ceiling to their squad. With those additions, the Bolts definitely got bigger, but the question is are they big enough to handle a team (San Miguel Beer) with the best big man of them all (June Mar Fajardo)? Because Fajardo has been so dominant in the last two seasons, it seems like every other PBA team is trying to come up with ways to match up or at least neutralize SMB’s size advantage. 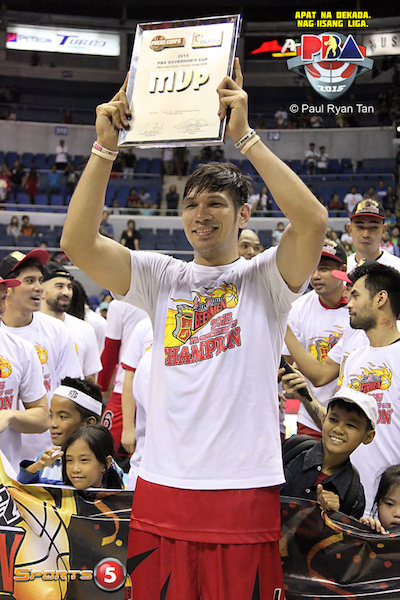 So far, things haven’t worked out so well for the Beermen’s opponents as SMB is coming off its best season in recent memory, winning two of three conference titles and having Fajardo win his second straight MVP plum. Even with the additional size of MER, they still remain clear underdogs against SMB, which has Fajardo, Jay-R Reyes, Arwind Santos, and Yancy De Ocampo. - Al-Hussaini was once regarded as the future star big man of the league after he averaged 14.2 points and 6.9 rebounds in his rookie season. His production since then, however, hasn’t been good, which contributed to his mysterious “leave” from the Bolts last season. Now that he’s back, though, and he has his old college coach Norman Black in tow, expectations are high that Al-Hussaini will eventually be able to get his old form back. Against the reigning MVP, however, Al-Hussaini is bound to run into some tough times. 2013-2014 season averages: 5.0ppg, 5.0rpg, 34.1 FG%. - Two other guys who will definitely carry much of the load on both ends of the floor for MER are Fil-Ams Cliff Hodge and Jared Dillinger. Hodge continued his season-by-season improvement last season, getting more rebounds and blocks and making better shot selection. Dillinger, meanwhile, continued to contribute in various ways, further underscoring the value of his versatility for a team like Meralco. Hodge last season: 9.4ppg, 8.1rpg, 1.9apg, 1.4bpg, 42.5 FG%. Dillinger last season: 9.1ppg, 3.8rpg, 1.3apg, 36.2 3pt%, 45.5 FG%. - Gary David turned 37 this year and still played for Gilas 3.0. He has been banged up and has played almost non-stop for the past few years. With his advancing in age and the emergence of some guys in MER, can the Bolts still count on El Granada to be as explosive as he once was? He remains a vital piece for the Bolts’ chances this season, for sure, but perhaps it’s also time to see what younger options are out there who can learn form the tutelage of someone like Gary David. Last season: 13.2ppg, 2.7rpg, 1.6apg, 1.5 triples per game, 32.7 3pt%, 40.3 FG%. - One guy whom many PBA fans are surely raring to see is former Ateneo high-flyer Chris Newsome. He was, of course, an important player for Ateneo in his 2 collegiate seasons, wowing crowds with his versatility and athleticism. Those are things he will bring to the table for the Bolts, who now have one of the most versatile group of forwards in the entire league. If Newsome can be disciplined and efficient on both ends, he may be the big difference Meralco has been waiting for a long time. Newsome college stats: 13.6ppg, 8.1rpg, 2.6apg, 40.0 3pt%, 48.6 FG%. - In plain and simple termes, JMF is just unstoppable right now. It’s not just his size, but also his agility and his soft touch that make him so difficult to defend. He displayed that in their last game as SMB beat GLO, 97-86. If MER’s new bigs cannot force JMF in uncomfortable spots, it will probably be a long night for them Bolts. Last game: 21pts, 17rebs, 3blks, 8/16 FGs, 5/10 FTs. - Ranged against former GLO teammate and recent Gilas 3.0 darling Terrence Romeo, Alex Cabagnot rose to the challenge to lead his team to a big win over a potential semifinal contender. Even at 34 year old, Mr. Cabagnot remains steadfast in his resolve to be among the league’s elite PGs. If he can score well again while also handing out 8 assists, then that would a perfect type of game for any SMB point guard. Last game: 19pts, 4rebs, 8asts, 2 triples. - SMB paraded a few new faces to open their account this season, and that included Jay-R Reyes, Brian Heruela, and Ryan Araña. None of them dominated in SMB’s win over GLO, but they all still had relatively good contributions given their limited playing time. All three guys should get used to playing around 10 min per game (if at all) only, but, more importantly, they should find a way to stay constantly motivated, so that when they do get on the court, they’re ready. 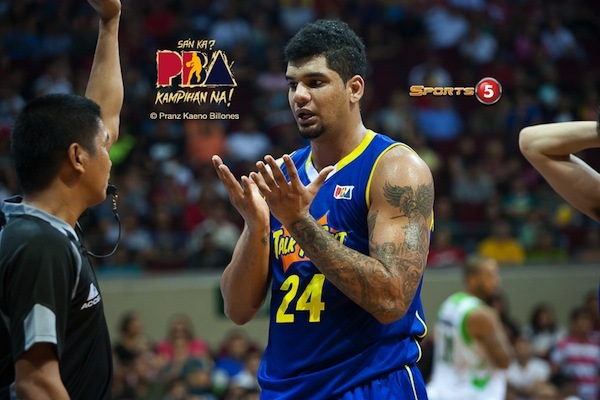 Reyes last game: 4 points, 3 rebounds in 6 minutes. Heruela last game: 3pts, 1reb, 2stls in 8 minutes. Araña last game: 3pts, 2rebs, 2asts, 1stl. 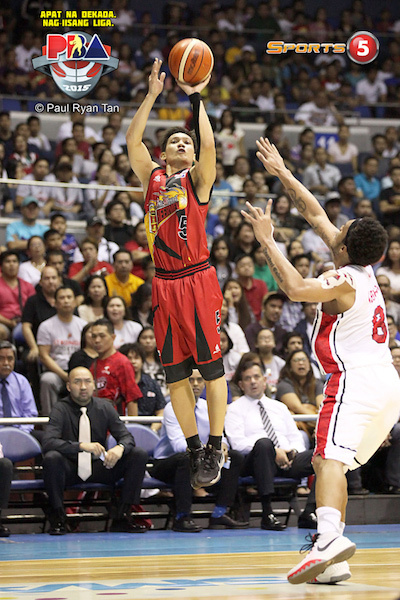 - One big reason for SMB’s win over GLO was the former’s great outside shooting. The Beermen made a total of 10 three-pointers, with three guys making 2 shots each. In contrast, GLO made just 5 triples against SMB’s stingy perimeter D.
- By now, Fajardo knows just how physical things can get in the PBA, and he will certainly get a dose of physicality from the likes of Al-Hussaini, who is known as an enforcer aside from being the team’s #1 low post option. I don’t think Fajardo can be stopped by Al-Hussaini, but if the latter’s production can approximate JMF’s numbers, the Bolts may just stand a chance. Al-Hussaini career stats: 8.7ppg, 4.9rpg, 40.1 FG%. 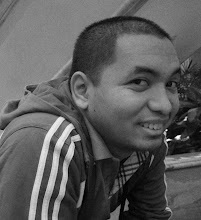 Images from Paul Ryan Tan and Pranz Kaeno Billones/Sports5.